Raf came to dinner last night, asking if he might use my camera flash while he was over. He was curious about the process of using the master/slave set-up on his camera. Neither of us had attempted it before and it was the best fun I had had in a while. More to follow as I experiment with that in the months ahead as it turns out the Gert's Metz flash is able to make a wireless connection with my Canon flash. 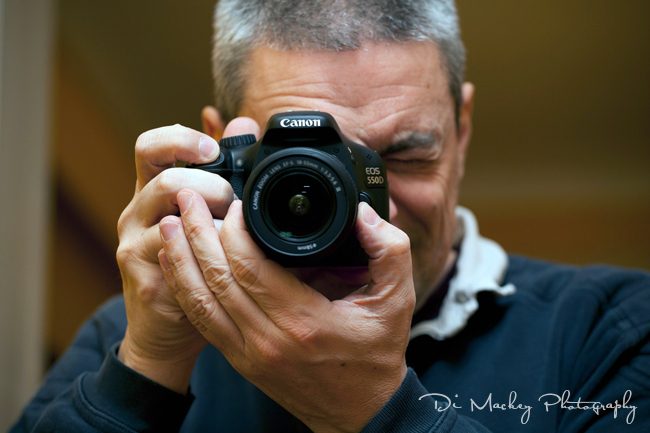 The photograph following was taken when Raf put down his beautiful Canon EOS-1Ds Mark III, with its battery pack attached and picked up the smaller Canon EOS 550D, laughing over how to hold it in his big hands. I liked how it looked and took a series of images with my beloved Canon EOS 5D MkII. It was a lovely evening. Thank you, Raf, for opening the door into this new way of working with light.